Giving my cats spot on flea medicine always seems scary to me. I don't know much about these things, but the chemicals just seems nasty and dangerous to me - it's got to be terrible for the cat. I usually get Advantage II and only use it every once in awhile as fleas don't seem very common in my area. The other day while walking through Costco on the way to the cat litter, I saw they now have their own brand of a spot on flea medicine. Since I've usually been pleased with Costco brand products, I took notice. 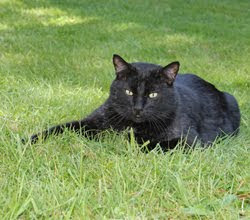 It's called Kirkland Signature Flea & Tick Control for Cats. It was less than $20 for 6 applications, I figured it can't be any more toxic than Frontline or Advantage right? WRONG. Well, before opening the package, I thought I might do a quick search for reviews of the product and boy am I glad I did, wow! First thing that came up was Amazon. 26 reviews and 24 were extremely negative. People reported their cats had all sorts of extreme reactions to the product. Many needed emergency vet care as their cats experienced severe burns, seizures, lethargy, lost appetite, difficulties breathing, the list goes on. The reviews read like a list of horror stories. Next up on the review list was Advantix vs. Frontline. They compared the ingredients on the Kirkland product and found the listed ingredients to be the same as Bio Defense Spot On. They looked up reviews on Bio Defense and found mostly negative ones. A few people shared their experiences of the Kirkland product at Advantix vs. Frontline and they were also heart wrenching. The parts that were most alarming to me was first the WARRANTY AND CONDITIONS OF SALE section, especially the last two sentences. As I read that, they are saying they are not liable for anything more than the purchase price of the product. So if your cat gets sick, incurs vet expenses or dies, don't go looking for damages from Costco. The little yellow box was also alarming. Seeing all this information and bad reviews made me wonder about my trusty Advantage II for Cats by Bayer. 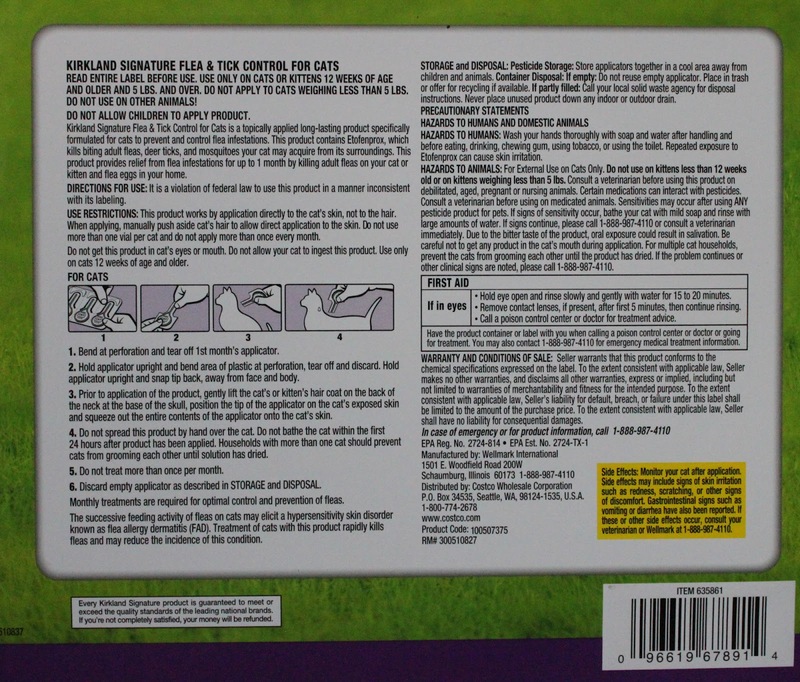 On the back of the Advantage II there are no warnings about reported side effects only the statement, "Individual sensitivities, while rare, may occur after using ANY pesticide product for cats. If signs persist, or become more severe, consult a veterinarian immediately." There is no warranty or conditions of sale listed on the outside of the package, however on the leaflet inside the box there is a similar limited warranty and limitation of damages statement. Lastly, I looked at Amazon to see what the reviews were of Advantage II for Cats, and they were about the opposite of the Kirkland product. 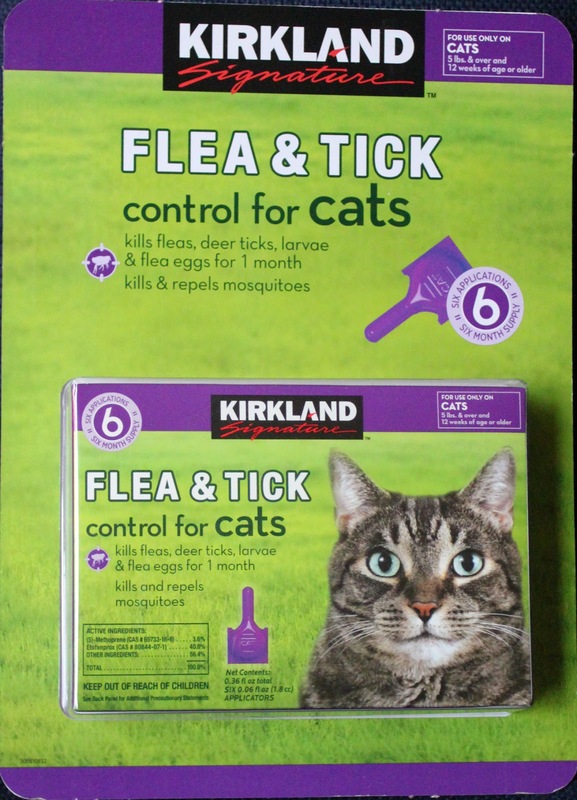 After researching the available reviews on the internet, my conclusion is that Kirkland Signature Flea & Tick Control for cats is extremely toxic and should never be used. Please warn everyone you know to read the online reviews before using this product, so they don't unintentionally hurt their beloved cat. I'll be returning the one I bought to Costco for a full refund. While I'm at it, I'm going to call Costco's customer service number (800-774-2678) and express my concern for their choice to carry such a toxic product. Good research Phil. It is very helpful to know that about the Costco product. Also calling Costco is a great idea. I think if I see the same in my Costco, I will be talking to the management there. The consequences sound too serious for anyone's cat. I work in the refunds department of a Costco, and the only returns have been on unopened products because of the Amazon reviews in thelast few days alone. this is odd to me, because our warehouse has only sold these for a few months, yet some reviews were from years past. none, as in zero, have been returned due to a quality or safety concern, also extremely odd. I don't want to insinuate these are fake reviews, but it seems fishy. It's a third of the price of frontline, exposing their true markup. I'd also pay a lot of attention to my observation that most products are recalled or pulled at the first sign of quality concerns, contacting all purchasing members to have them return the product. in my six plus years with Costco, that length of time of having a product like that is more than unheard of. I can personally testify to the fact that Costco has been selling this product for over a year now and that there have been MANY returns, even my Costco manager noted that when I talked with him over a year ago. 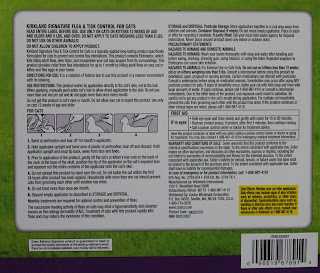 They did pull the product for a period of months to re-work some the instructional leaflet but the product remained unchanged and just as harmful as before. If you believe that Costco cares about the wellbeing of their member's pets, you are very wrong - that's what they want you to think. Costco only cares about their financial bottom line. first time commenting here- I'm not surprised. google "Hartz Kills" and you'll be horrified. I work in a pet shop and I always tell people to go with the well known products that are stocked by vets and reputable pet shops. the supermarket brand flea and worm products are at best ineffective and at worst, lethal. I love your blog, you remind me very strongly of my husband. Hi ShadowBunny, thanks for the comment. 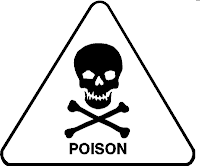 Since reading the reviews on the Costco stuff, I have discovered several Hartz Kills and similar sites, I've also found www.tinytimmy.org which has some good information about the dangers of OTC flea medicines. I've heard people talk about their preference not to use the strong OTC stuff but I had never read the horror stories before - my eyes have been opened. This was a wonderfully informative review. THANK you for it. 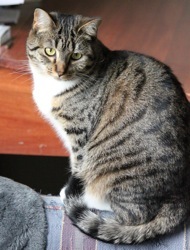 As mine are always indoor cats the flea problem comes up only if a worker brings them in. That has happened on 4 occasions and I have had to use flea products. I hate to as the used to make my Tortie feel badly for days! But the fleas were terrible too. I used Frontline at the time. Now I have some Advantage in the cabinet for if needed. I worked at a vet's office and I've seen first hand what these toxic products can do. People use them thinking they are safe because they wouldn't be for sale if they weren't, and that they can save money. It is a shame because everyone suffers but the makers of these products. I blogged about it after reading about TinyTimmy.org and I had someone comment that I shouldn't be against flea products because fleas are dangerous, I can't help but wonder at their motivations. Good for you for getting the word out as well! I'd love to see a post about your phone call and what Costco has to say. Timmy's Mom is a wonderful fabulous crusader for taking the fraudulent companies that make "flea" protection to accountability. OH good I see Connie mention Timmy too. 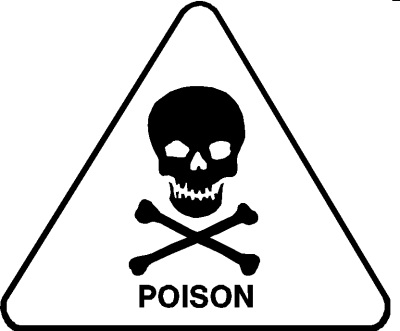 Be careful, K9 Advantix is only for use on dogs and is toxic for cats. For cats, Advantage will treat just fleas, vs Frontline Plus which will treat fleas and also ticks. Both products also kill flea eggs and larvae. If you don't want to apply a topical product, consider Capstar. It is a tablet that begins killing adult fleas immediately. The effects don't last beyond the initial 24 hours though, so you would follow up with something like Program. Wow, good research, Phil, and good comments by everyone. Glad my kitties don't go out (except when Lucy escapes). #1 (B)ailey, a purebred (B)engal, 6.5 yrs old. #2 (S)idney, a rescue (S)iamese, 8-ish yrs old. 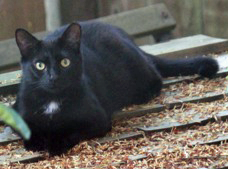 #3 K(C), a feral adoptee Maine (C)oone, 2-ish yrs old. 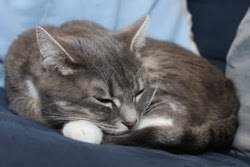 KC, definitely a teenage cat, found a home with us over a year ago, and as much as we'd LOVE him to be an indoor only kitty... that isn't much of a reality--but we do require him to be home every night by 10pm. We love KC, because he chose us, but in all reality, he ranks 3rd in our home. 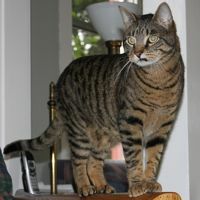 He also is a daytime-outdoor cat, thus he brings fleas indoors at night, and Bailey & Sidney bear the brunt of that. 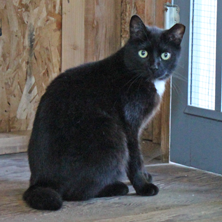 Because of KC, we have the occasional need to apply medication to all 3 cats, although we obviously need to re-think "occasional", our next will likely be a monthly KC flea application so Bailey & Sidney might be spared the application. 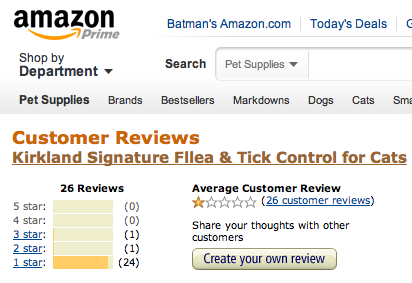 We purchased the Kirkland Cat Flea & Tick Control in January 2012, knowing we'd eventually need it. Approx a week ago (late Aug 2012), we began to identify a flea issue, and after procrastinating a few days, we applied this *new* product a few days ago. KC, the likely carrier, barely noticed we had applied the product... he remain the happy-go-lucky boy he always is. 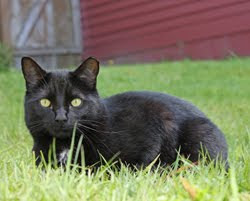 Sidney, had a huge spaz moment because he REALLY didn't like the smell of the product... (I had a previous cat who freaked at the smell, but never exhibited a physical issues)... he was unhappy, but the product application was still in his best interest. 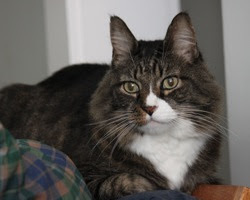 Because of our circumstances, we have been able to be on top of the cat distress situation and correct the issue (dishsoap to remove the waterproof medication, on BOTH the bonded cats, as Bailey does like to groom Sidney) and there won't be any fatal issues to address this time...fortunately. Make your own decision, but I hope that I am able to share a variety of outcomes, from personal experience, that express how this product is kind-of a crap shoot... are you willing to risk your cat with these odds. Thank you all for your time. Thank God I found you guys. I am saddened to read the one Costco worker's shallow and severely limited dealing with this product, as a form of endorsement in both the company and this product!. Reading that gave me chills from the ignorance of the post. I bought this product last night at Costco. I know the horror stories about Sargent's and Hartz (especially). I KNOW to go with advantage or frontline. I think it's Frontline that gives me the poorest results. I can only tell by the box cover or I'd share that too. I was weakened by the price with 6 cats, as this is a monthly purchase in my home. . I called Costco today to get a better idea of what this product emulates. NOTHING informative was given. The only real information I got was it is EPA safe and meets their guidelines. I kept informing the not so smart person on the other end of the phone, EPA standards does not care about my animal and that is NOT why they exist. I could care less about EPA standards, I care of my pet's health and well being. We owners' can only get it wrong ONCE! I could not seem to impress this point upon her mind. It is not the vet bills that would get to me, it is the lives lost. I have one at 17 and one at 16 so I must be doing something right. Back into the abyss with this shady product. Shame Costco won't pay attention to this! AMAZON update Phil. As of this post there are 132 total reviews and 122 are 1 star. One person writes they hate to post the complaint even one star is given out. I would have copied and pasted the results but I couldn't get the graph to copy. I would have to agree with the majority of reviews. You are playing Russian Roulette with your cat's life when you use this product! Unfortunately, I did not research this product before I made my purchase and applied to three of my cats. Two out of three are exhibiting side effects; one more serious than the other and will be seeing my vet tomorrow. I regret terribly not researching this product and only trusting Costco that they were selling a safe product. But, the bottom line is more important to Costco than a pet's life. SHAME ON COSTCO! I gave this medicine to my cats from Spring of 2013 to July 2013. They started getting diarrhea and vomiting on a daily basis after the medicine was started, but I thought it was something else causing it. I changed their food slowing and that did not help. 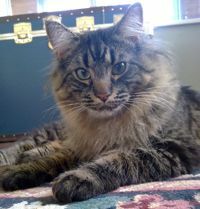 Upon the 4th application, in July, one of my cats had a seizure. The vet's office was closed, so I looked up the product online and was horrified that Costco was selling something that was causing so many problems. I washed both my cats with dish soap that night. 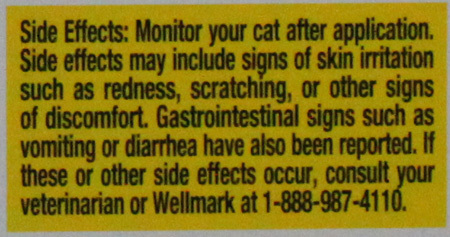 About a week later, I noticed that neither of my cats were having diarrhea or vomiting any longer. Unfortunately, my one cat that had the seizure that day, has continued to have seizures, about 5 a week. 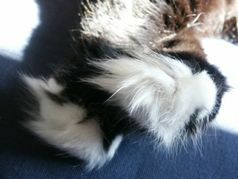 I have used the Kirkland Signature flea and tick control for cats with absolutely no problem. The Frontline product uses fipronil, and my cats fleas are immune to it. After treating with Kirkland, my cat stopped scratching after 5 days, and since he is Siamese and has white hair, I was able to verify that he is no longer infested. I discussed using it with my vet, and she said for me to shave a little spot of fur before applying so that it gets to the skin, NOT the hair. Also, it has to be high enough on the back that the cat cannot lick it off, thus making the cat feel ill for a few days, with hair loss possible from the cat trying to get clean by licking. I am really glad I talked to my vet first. Everything worked out great. BTW...this is the second cat I have treated. My 9 month old female is fine too.